I haven’t cooked much with pork, and I’ve decided to cycle it into our meals more regularly. 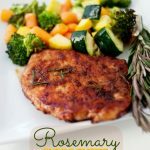 Spices make all the difference in a good meal, so I marinated the pork chops with what I had on hand, two of my most favorite flavors: Rosemary and Ginger. 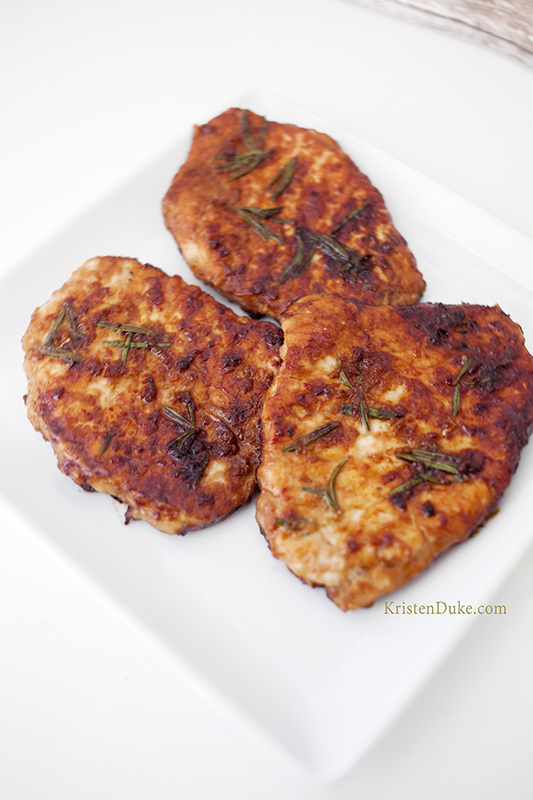 Let me introduces a super quick and easy meal, Rosemary Ginger Pork Chops. I love fresh ginger. I didn’t know this until a few years ago, when I started making my Cashew Chicken Stir Fry and it called for fresh ginger. I had ground ginger on hand, but finally decided to get it fresh. Oh my, just the scent of shredding it makes my heart soar! And then Rosemary? YUMM! 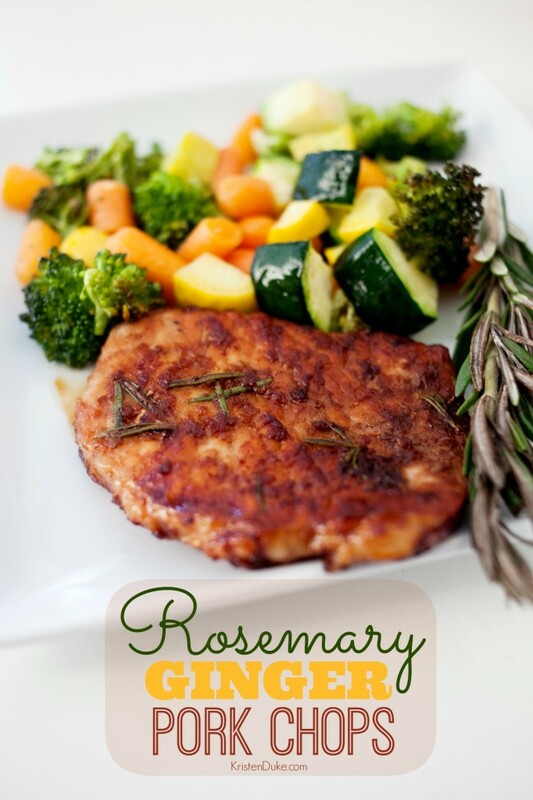 I’m on the hunt to find more recipes with Rosemary. I need to plant it in my yard. I love it so much. I just threw together some fresh ground ginger, rosemary twigs, and soy sauce in a bowl with the pork chops and let them dwell together for about 20 minutes. I was in a hurry. If I thought about it earlier, that might have been a good idea. I planned to grill outside, only to find we were out of propane. So, I came inside to my trusty grill pan in the kitchen. It gets a bit sticky on the pan, just make sure you soak it for a bit before trying to scrape the excess off. YUMMM!!! I broiled some fresh veggies with a little olive oil, salt, and pepper. Mix all ingredients into a bowl, letting the pork chops marinade for 20 minutes up to an hour or so for more flavor. 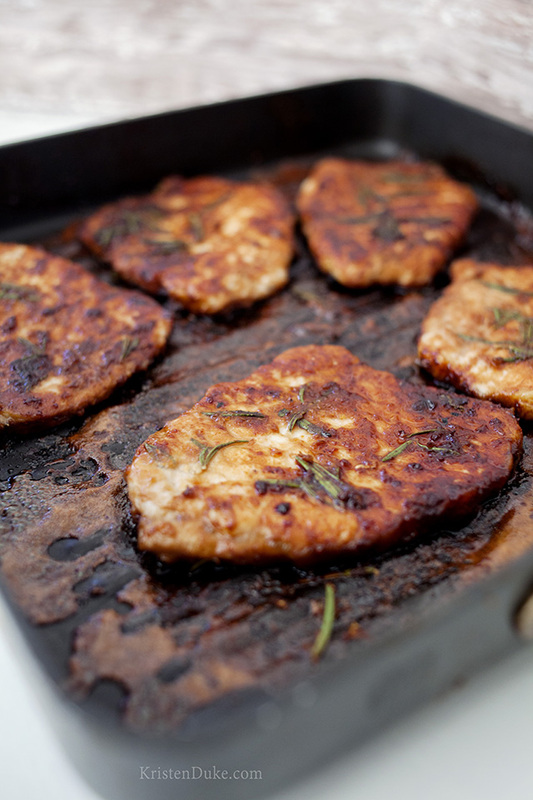 Grill Pork Chops 4-5 minutes each side. 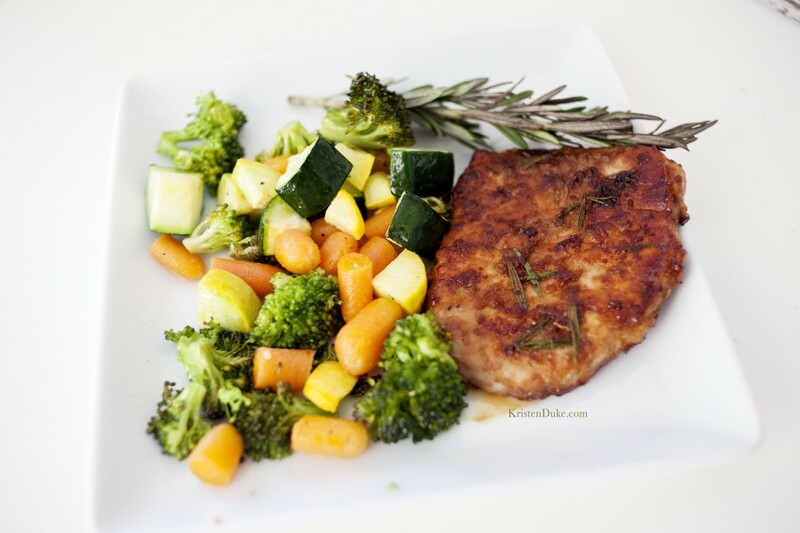 Serve with a side of veggies. Did you see that I’ll be sharing weekly meal plans on Sundays? Check out the Family Meal Plan #1, and look forward to #2 with this recipe included this weekend!